Barbara R. Blackburn posted 3 Strategies for Building Tween Resilience on the MIDDLEWEB (10/28/2015). As I read through Blackburn’s strategies it struck me that they can all equally be applied to school leaders and instructional coaches’ work to increase teachers’ resilience. Blackburn/Students: We can support resilience through our empathy with students. We show empathy by communicating effectively with our struggling learners which includes truly listening to them. In Coaching: In an earlier blog, I discussed coaching and empathy and the critical coaching skills of listening. Understanding what a teacher is thinking and feeling is a component of what I identify as agenda. Finding a teacher’s agenda is one purpose of the preconference. Many coaches share with me that they often struggle not jumping into solving a teacher’s problem, sometimes prior to the teacher being able to clearly identify the problem. As a coach I want to provide feedback and reflection built around the teacher’s agenda. 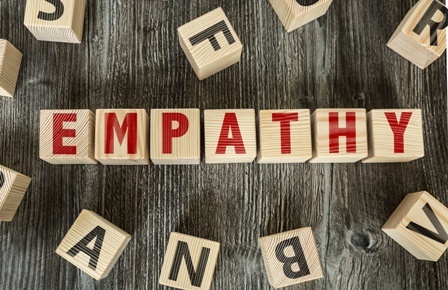 Uncovering agenda means that the teacher’s emotions around an issue can emerge and create the opportunity for the coach to respond with empathy. Here’s a blog with some specific examples of responding to a teacher’s concerns with empathy rather than with problem-solving or defensiveness. See an example bulletin board here. Coaches rephrase any negative phrased comments to positive ones. By phrasing don’t, won’t, and can’t as want to and need to, your facilitation can lead into a solution oriented direction. 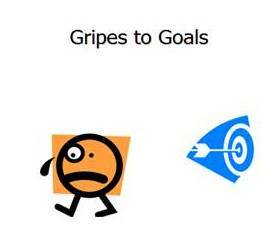 A strategy that I build into instructional coaching training is called “Gripes to Goals”. By identifying elements in the teacher’s statements that come from listening carefully, the coach uses several paraphrases to reframe the negative gripe to a positively stated goal. Coach: Grades just don’t seem to be it. Teacher: Correct, grades have no meaning to them. See a video from Trainugly that illustrates the need to teach about failure. In Coaching: I wrote in an earlier blog exploring the need for teachers to be risk-takers for innovation to occur in our schools. Success and Failure are on the same road! One of my favorite leadership coaching questions for the start of the year is to ask each teacher, ”What are you doing this year that you have never done before?” Having an answer to that question should be an expected component of a teacher’s professional development plan. Teachers with an answer are ready to approach instructional coaches for assistance and support. Outstanding teachers should be asked this question,”What will you be doing this year that you don’t think any other teacher has done?” That question should point us to cutting edge research that can produce an innovation that drives change within a system. What leadership actions of yours are focused on building teacher resilience? I have also found it helpful to ask a teacher what has worked successfully in the past. Sometimes with teachers and staff, they get bogged down by the negatives when the have shown they have the capacity withincthemselves to solve a problem at a previous time. The coach may have to help the teacher dig deep about what made the other situation successful. Maybe it was attitude, maybe researching new strategies or collaborating with a colleague. I have 8 new peer coaches in my district, so I will share this blog with them. I think it’s common for people in a helping role like peer coaches to want to solve problems. However, leading with empathy may allow teachers to better own their solution. The best solution to a problem is in the person’s own head! So often, students will stop doing something because it gets to “hard”. I recently worked in a school with all special education students. We had to explicitly teach “academic endurance” as a part of our regular work. Teachers as well often have to have “initiative endurance” re-taught as an explicit skill. That is where a great coach can really help a system change – by explicitly attending to the initiative fatigue so often felt by their colleagues.